Julian Cope’s Black Sheep project is an ongoing attempt to connect avant rock with the spirit of heathens and revolutionaries across time. (See my Wire story on Cope from November 2009). 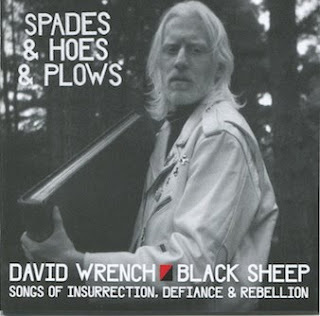 David Wrench is one of the floating members of this roughshod collective, and Spades & Plows... contains four lengthy dronal takes on dark, controversial songs from the insurrectionary folk canon. With none of the sentimentality of folk revivals past, this is gritty, insistent and menacing music with its roots in the communitarian movements of the English Civil War. The 24 minute version of “The Blackleg Miner” might test the patience of some, but it somehow manages to suggest the brooding, slow burning radical spirits of Britain’s revolutionary mobs down the ages. 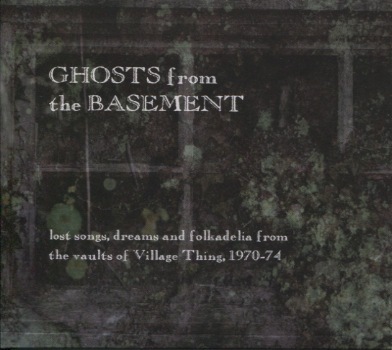 Until recently, the Bristol based Village Thing label – run by current fRoots editor Ian Anderson – was one of the most collectable imprints of the late 60s/early 70s folk-rock era. None of its back catalogue had been rereleased and Anderson’s own triplet of solo LPs seemed to cause him some sort of embarrassment (he’d write to sharity blogs posting his records to complain, not about supposedly lost revenue, but simply that he didn't want anybody to hear the music). But he seems to have had a change of heart. Following Mark Jones’s book on Bristol Folk, a fine piece of musical archaeology, Anderson put together a compilation of his own work on Village Thing and now there’s this 20-track showcase of the label’s archives, subtitled ‘lost songs, dreams and folkadelia from the vaults of Village Thing, 1970–74’. It’s largely singer-songwriter stuff, most of it good: Wizz Jones, Steve Tilston and, my favourites, Chris Thompson and Dave Evans are represented by a couple of tracks each. There’s also expat US banjoist Derroll Adams, a couple of Anderson’s own pieces, duos Hunt & Turner and Lackey & Sweeney, the rather overrated Sun Also Rises, an acid folk outfit who, for me, fall on the wrong side of fey. But this is generally an intelligent and entertaining filleting of the Village vaults. Formerly of the Glaswegian school of wyrd folk, now based in Bradford, Nalle share members with The Family Elan, whose majestic, ecstatic Bow Low Bright Glow is one of my most played records of the year so far. Nalle is the vehicle for Hana Tuulikki’s songs and extraordinary banshee voice, although this new one is more restrained and atmospheric than the Elan stuff. I’m a total sucker for her remarkable artwork too. 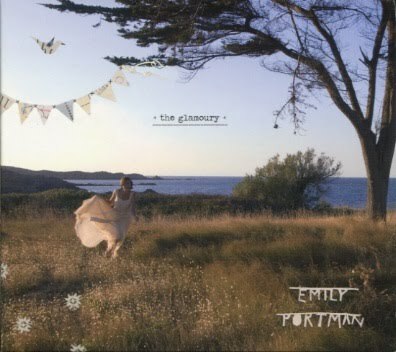 Already reviewed this one in Uncut so won’t say too much, only that I caught Portman’s strange and macabre folk at the launch for this album in deepest Hackney back in May and was charmed. She’s from Newcastle, via a Glastonbury upbringing, which perhaps explains a lot about the spooky, magical foundations of these ballads. Saw the Family Elan play locally last month to around 30 or so people. Superb, and with Chris's sister Stephanie now joining the line-up, they also did Willy O'Winsbury and In The Month of January - the version of Willy being very close to the Anne Briggs arrangement - and some acapella Bulgarian folk songs. I also notice they were supporting Mike Heron in Bradford earlier this week.